Thank-you for a well conceived and organized candidates debate in Inglewood! – Accurate (Peel) Appraisals Inc. There was much discussion about the burgeoning issues related to our lopsided domestic demographics. That is, the greatest of these is the exponential rise in the number of seniors who will reside in west Caledon! No single answer will likely cover all the issues regarding how we can create more affordable senior housing. Naturally some of the ideas expressed last night were more substantive than others, IE. Updating zoning bylaws to create more shared housing within our hamlets, villages & country properties. However, what all of these great ideas will actually need to work, is that unaddressed Trojan horse of delivering reliable & affordable public transport. We all know that seniors do not like to drive long distances or engage with heavy traffic volumes. Many for health reasons are relieved of their driving licenses well before their time is spent on this planet. So if we are truly being sincere about tens of thousands of seniors continuing to call Caledon home, a convenient interconnected public transport system will inevitably be the trump card in making this a reality. There is little debate regarding that there is lots of room for improvement with our beleaguered North /South Go bus service. However, if we quickly acknowledge that it is far better to work with what we have rather than waiting for another generation plus for a vague promise of a train service for Bolton or west Caledon. Perhaps the time is now at hand that we all try to find an integrated system that works, specific for Caledon. The advent of the E-bike phenomena has just touched our shores. People of all ages deftly utilize these daring machines in China & much of Europe. Why can`t we? Incorporating this facilitated form of travel with our existing, gravely underutilized bus system might just be an immediate panacea. 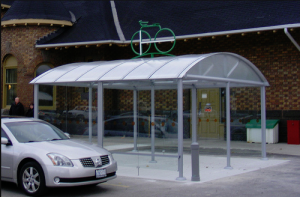 bus shelters by the Headwaters Hospital and 2 in Caledon village should logically rate higher priority. Let us remember that starting somewhere, beats by a long margin, no start at all! This seemingly insignificant step can of pledging your political & village support will make a Big difference in many peoples lives. If traffic woes, the poor state of road repair, encouraging tourism and most importantly a fervent commitment to all our seniors living fuller lives, are indeed part of your campaign platform. Here is a simple straight forward means to addressing these 4 salient issues. May we wish everyone the very best of luck for their respective campaigns. Thanking you all for your commitment to making Caledon a better place to live. Please also see our previous blog post http://www.reappraisals.ca/2018/05/03/seniors-g-t-a-rental-vacancy-rates-now-1-treb-gta-realestate/ regarding Senior Affordable Housing.